Looking for something that’s easy to make, good enough to eat for a few days and not boring? 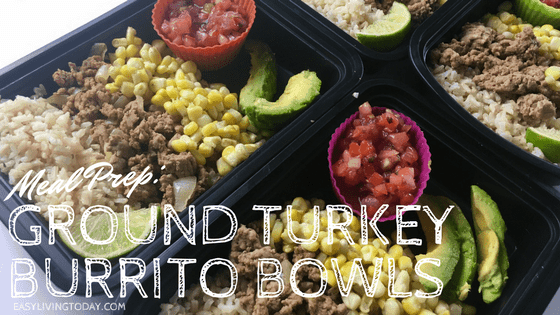 Then this ground turkey burrito bowl is the perfect meal prep dish for you! 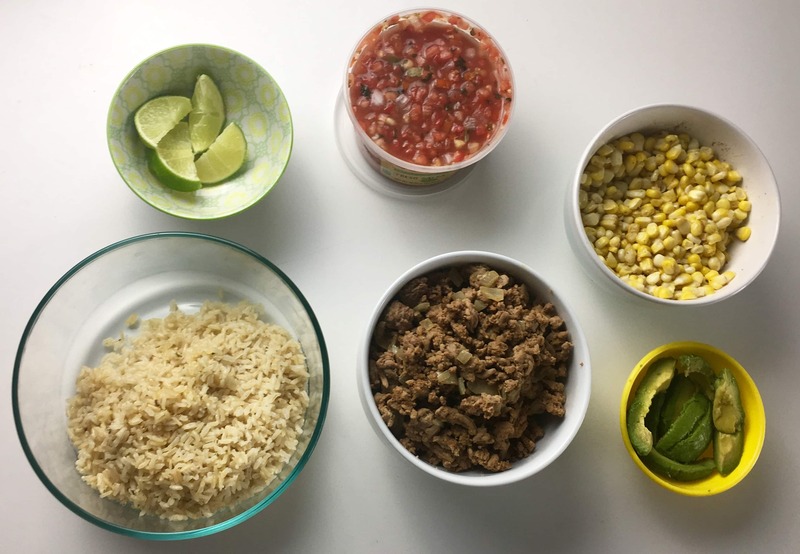 Clean eating ground turkey recipes with great flavor aren’t always easy to come by, but this ground turkey burrito bowl is delicious and you’ll look forward to it every day. Even my picky toddler eats it, so it’s a win/win having a healthy meal ready for him as well. The best part is, it’s super simple. You’ll cook your ingredients, which are all easy to cook. 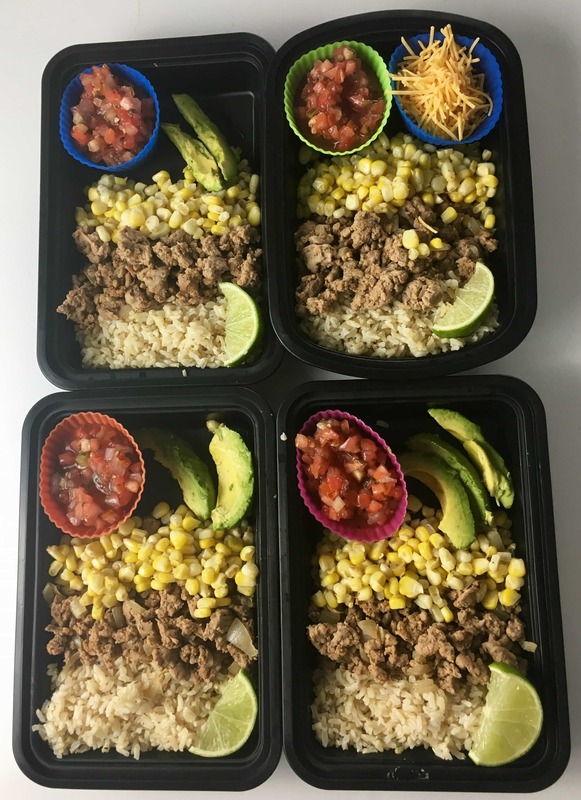 Then you’ll assemble your four meals in your meal prep containers. And that’s it, a healthy and filling lunch is ready for the next 4 days! Cook brown rice according to package directions, adding salt to the cooking water and squirting with lime when done. Boil corn for about 7 minutes, until done. Spray pan with pure olive oil and saute onions until translucent, stirring occasionally. Add turkey to pan over medium heat, tossing in the taco seasoning and breaking it up as you cook. Cook turkey until cooked through. Slice kernels off of the cob, put in bowl, mix with butter, salt, pepper and chili powder- all to taste. Tip: Do not add avocado until you are ready to eat it, or it will go bad. Tip: Put salsa in a silicone muffin liner so you can easily remove it when it’s time to reheat the rest of the meal. 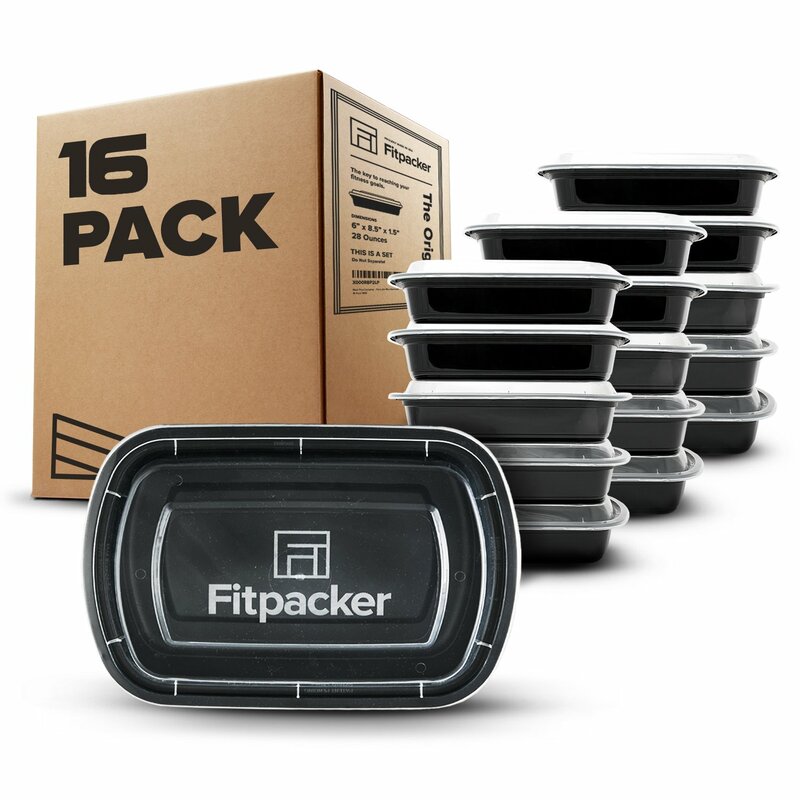 If you are meal prepping, it’s important to have enough high quality meal prep containers to pack your food, reheat, wash and repeat. 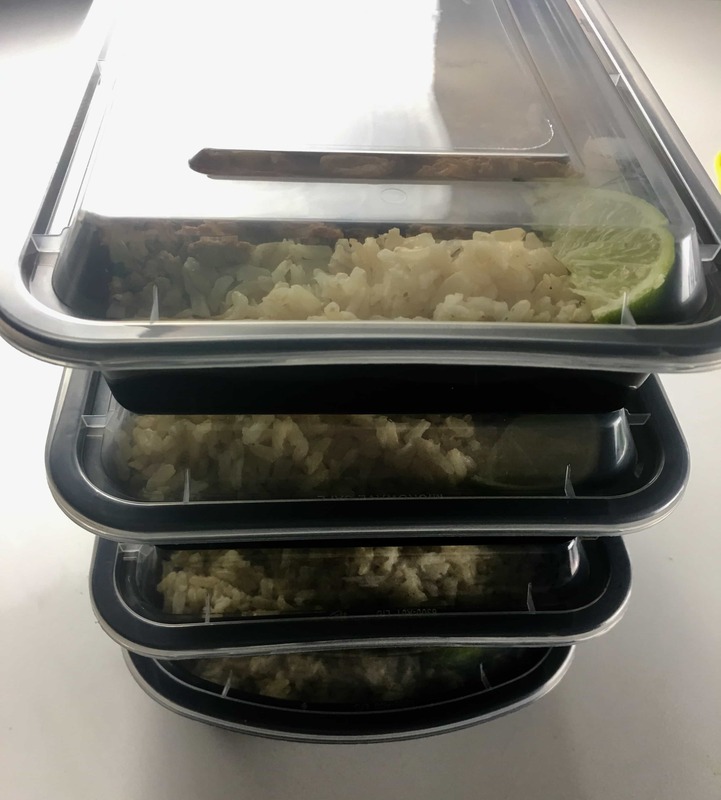 These meal prep containers have lasted me years and are still going. They are amazing, especially for the low price. You can throw them in the dishwasher and they microwave well. 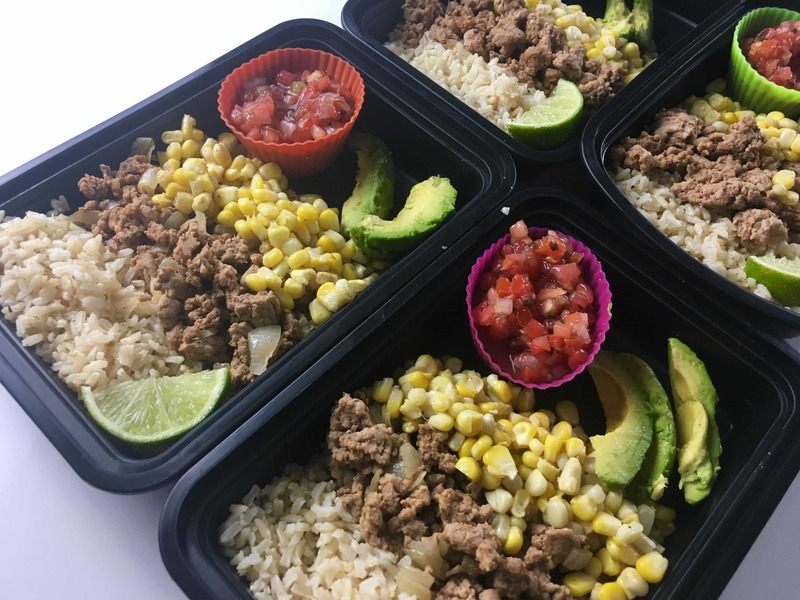 There are also bento like meal prep containers and glass meal prep containers if you prefer those. Whatever you choose, just make sure you have enough to store a few meals and that they will fit neatly in your fridge.